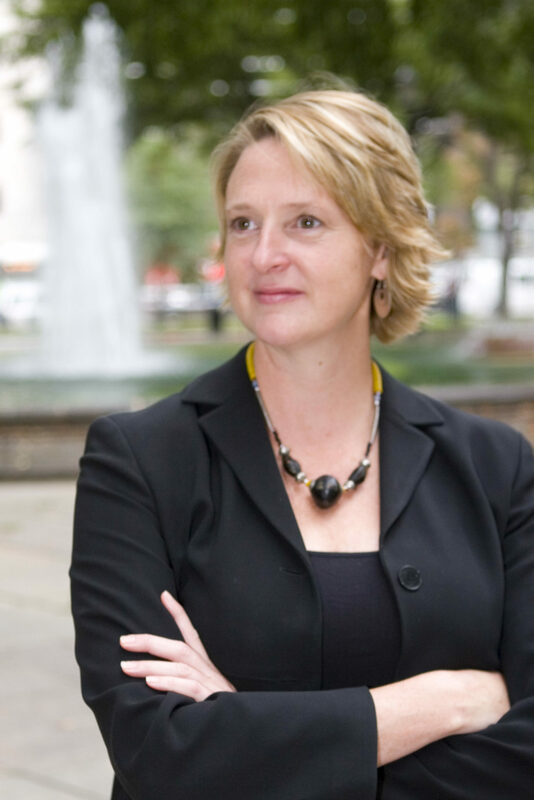 Courtney Bourns is the director of programs at Grantmakers for Effective Organizations. 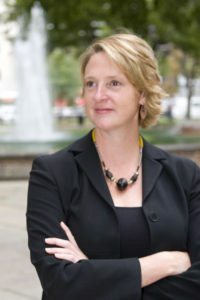 She oversees the development and implementation of programs as the organization continues to expand its work facilitating change in grantmaker practices that support nonprofit results. She has worked with community groups, nonprofit organizations and foundation-nonprofit collaboratives committed to social change, and has led training, facilitation and consulting initiatives in organizational development, strategic planning, and leadership development. Visit www.geofunders.org. GEO took on something called the Change Agent Project. Why? The Change Agent Project, which is described in our publication, Listen, Learn, Lead, is very interested in the power dynamic between funders and grantees, and in the broader, untapped potential for creating lasting change as a result of this dynamic. We wanted an approach that would engage grantmakers and nonprofits, recognizing them as both sides of a system, and to ask them, “What are the things that grantmakers could be doing that would make the biggest difference?” And we wanted to hear from the funders as well as the grantees. We call them change agents in philanthropy – the people who are actually doing their work in genuine partnership. And if you watch what they do, they recognize that philanthropy has this really catalytic potential, and that, if you reach outside your own walls, and you engage and listen to the people who are most affected by the work, then you can be making investments that make a huge difference. The deeper issue is what we’re calling “stakeholder engagement,” which is really about the way that funders engage their grantees and other stakeholders in helping them determine both their practice and their strategy. The funding process is at risk of being done in isolation. A group of funders can get together and say, “What we are really interested in is ending homelessness. And we think the best way to go about that would be to fund homeless shelters.” Well, if you make that decision without actually engaging homeless people, and people working with homeless people, and policy makers who can inform your decision, you might be making a decision in a vacuum. If you engage those folks, you might discover an even more profound way to impact the root causes of homelessness. I’d like to talk more about this notion of “engaged philanthropy.” What does that mean to you? Related to that is that foundations are recognizing that they can’t work in isolation; that, to be effective, they need to engage with those outside their walls, whether it’s their peers in other foundations, their grantees or their potential grantees, to help advise and direct where they’re going. And I think there is a commitment on the part of a lot of funders to try as best they can to level out the power dynamic. There is an increase in more engaged philanthropy, and probably some of that is influenced by the introduction of venture philanthropy to the field in the last 15 years or so. The venture philanthropy model, which draws from the venture capital model, has the investor much more involved in the work of the grantee and in some cases even sitting on the board of the nonprofit that they’ve invested in or helping to develop the strategy that the nonprofit’s going to use. With engaged philanthropy, do you observe pitfalls? Do you have a sense of what needs attention? There is a risk that the foundation starts to take over, get too operational. And I think some nonprofits feel uncomfortable with that kind of relationship. Having somebody from their funding institution sitting on their board feels like an invasion, somehow, or they fear that they will kowtow too much to their funder if they’re actually that deeply engaged in a strategy setting. The grantee worries that because of the power dynamic, the funder will have a stronger voice than others. But I think it can be responsibly done. If there’s a good relationship built, and there are some clear prenups in place, it can work well, because the engagement demonstrates a real depth of commitment on the part of the funder. And there’s a whole spectrum of funder participation, of ways the funder can engage with the project. There is a real spectrum. And I think it requires a level of consciousness on the part of the funder to select the most appropriate level of engagement. This includes being aware of the power dynamic. I think the funder is the one who has to keep raising the issue. So is engagement emerging as something that’s embraced by the field? Yes, and I think that GEO has the opportunity to provide some spearheading because within our community are some of the innovative grantmakers who model these practices. We talk to them, we hear what they’re saying, and we then try to amplify, to turn them into a little bit more of a tidal wave. Most of our readers work with film, and we know from our interviews that many have experienced more “engaged” grantmaking. I’m wondering what you might advise both parties in those situations to do before they, as we say, tie the knot. Well, I think what the Prenups have outlined is exactly the way to go. I think you have to have a set of conversations to explicitly discuss expectations, and then also be willing to check back in throughout the process in a proactive way, to see how it’s going and how things are developing. It does happen. It’s very awkward, particularly where issues of personal expression are concerned. But no program officer that I can imagine wants to say, “Yes, we funded this, but the message isn’t what we want, and now we’re really unhappy, and we don’t want anybody to see this. We want to take our name off of it.” It can sound like censorship. It can sound like too much control. It’s really a conundrum. So that’s why bringing issues up in a safe, proactive, and anticipatory way is useful. And that’s where I think your project is really helpful because it can say, “This is how this works at its best. This is what this relationship could ideally look like. Here’s how I will be. Here’s how you can be. If you want it to look different than that, this is a good time for us to talk about that or to not get married.” If you’re going to need that much control, and I’m a filmmaker who can’t work under those conditions – I don’t want that kind of relationship, I need more creative rein – then I should probably marry somebody else. I would love for filmmakers to say what you just said. But because of the power dynamic, it’s not easy. That’s right. But if you can really understand the interests of the person funding the project, then you can at least have an honest conversation about whether or not you can meet those interests. Is there anything else that occurs to you about this relationship or how we could apply some of GEO’s learning to the filmmaker/funder community? I’m struck by the similarity between the kinds of conversations we have and what you are up to with the Prenups. The goal is for the funder and the person doing the work – whether it’s a filmmaker or a nonprofit leader – to really see themselves as being on the same side of the table. We talk about that a lot in the GEO community: You’re on the same side of the table focused on achieving something together. And if both people are clear about their roles and clear about the thing they’re trying to achieve, then there’s an element of staying out of each other’s way and letting each partner do their piece to move toward that vision. It feels like we would be able to accomplish so much more if we could shift in that way. And I do think people are more inspired by, “Here’s a vision of what’s possible. Here’s the way this could look if people play their roles effectively.” That tends to be more motivating than, “Don’t do this. And don’t do that. And your filmmaker will hate you if you do that.” I think you’ve done a really nice job with the Prenups initiative of setting out the vision. Do you hear of increasing interest in media from your members? I think culturally, especially with YouTube and everything else, that we are so attracted now to that medium for getting a message across. And I think funders are definitely getting on board with that.